Let’s be real: Vintage shopping is basically a treasure hunt, and if you’re looking on a map for the best online vintage shops, look no further. 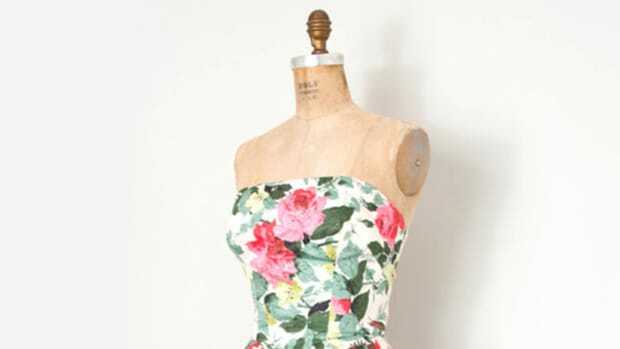 We know that vintage shopping is no easy task, but finding that perfect vintage piece is a total wardrobe victory. When everyone is wearing the same fast-fashion dresses from the department store, why not invest in a high-quality vintage piece that sets you apart? A note on fit and measurements: Keep in mind that vintage sizes typically run small, so it’s important to pay attention to the measurements listed for each item, and make sure you measure yourself before shopping. If you’re on the search for a universally flattering, versatile fit-and-flare dress, then look no further than Ada’s Attic Vintage. Owner Rachael Sadler is on a mission to make fashion fun again: “Out with the pout!” she says. 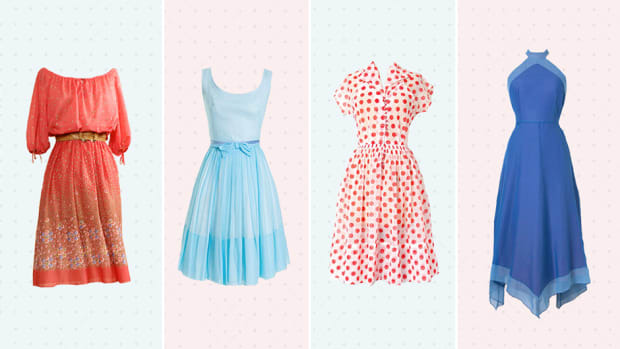 Well, we were definitely smiling when we found Sadler’s affordable retro dresses. On top of providing lovely vintage pieces, Sadler dry cleans each piece before sending it out and packages everything in darling floral paper. We’re swooning. If simple, Southern belle–worthy dresses are your cup of tea, we’ve found just the shop for you. 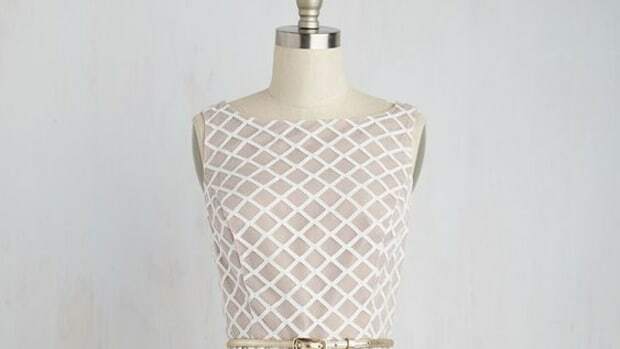 Sonja’s sweet Etsy shop is all about vintage clothing that is “wearable, timeless, and flattering.” With Peter Pan collars, striped pinafores, and full flared skirts, Capsule Closet has dresses that were made for springtime strolls and garden parties. 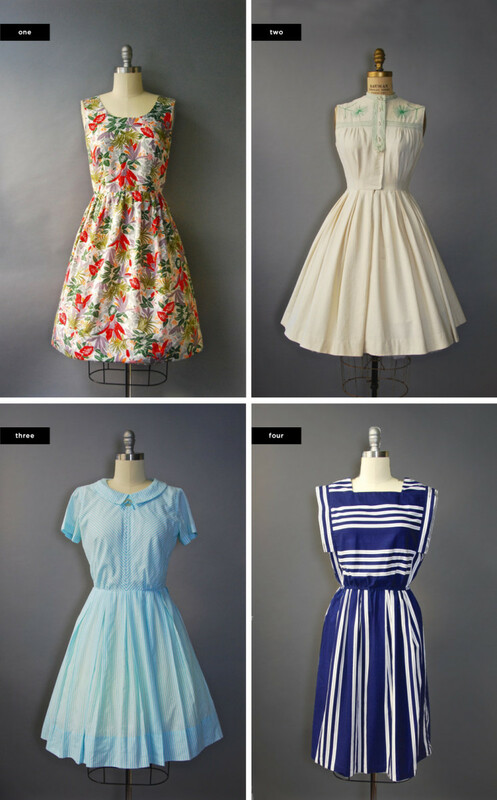 Dana Hanson of Concetta’s Closet has brought online vintage shopping to a whole other level. 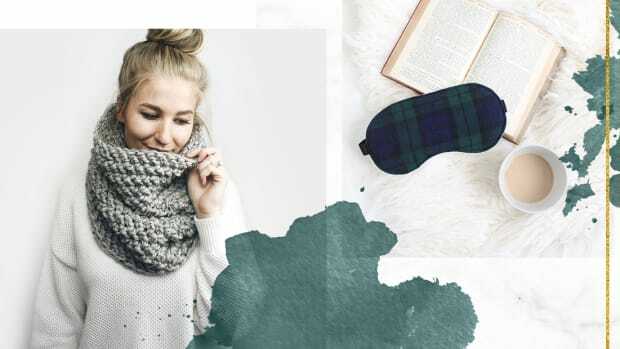 With beautiful photos and fresh styling, Hanson strives to offer “the most classic, the most unique, and the most iconic vintage clothing.” It’s perfect for the modern woman who loves to celebrate her femininity. 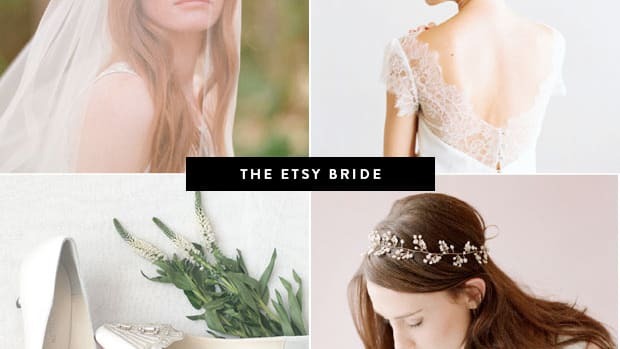 So you love vintage, but you’re a little more of a 1970s hippie at heart? Well, we found just the shop to suit your boho tastes. Jules Atelier, owner and curator of Kamomeya, specifically finds Japanese vintage that is casual yet feminine. 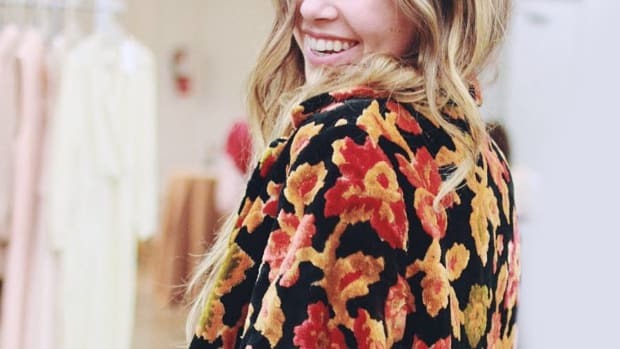 She describes Japanese vintage as being “well made, with resistant, high-quality fabrics that show little signs of aging.” I think we can speak for all women and say that when we find a favorite dress, we want it to last forever—so sign us up! Be still our beating hearts! 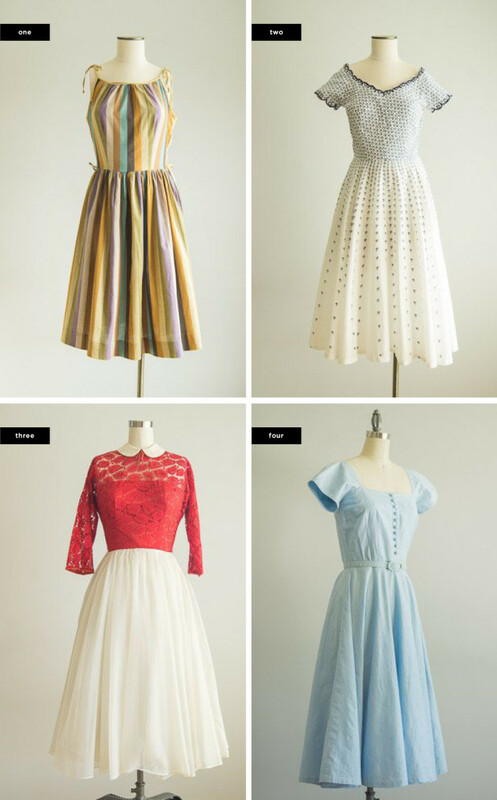 As a self-proclaimed “vintage hound,” Hungry Heart Vintage owner Lora offers a dazzling array of dresses from the forties, fifties, sixties, seventies, and eighties. She describes her shop as “vintage attire for the modern woman,” and we couldn’t relate more to her mantra. 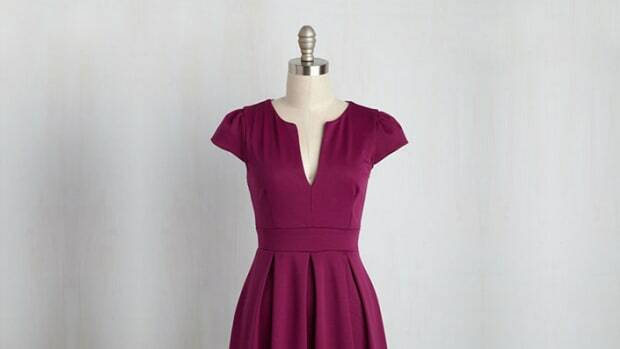 With dresses in impeccable condition starting at $40, we’re ready to go all in.